Lock in a great price for Zig Zag Motel – rated 8.8 by recent guests! We arrived, checked in then went to a wedding. Got back late then left early in the morning so didn't spend any time there's. Breakfast was very good. Rooms were very clean and staff was extremely helpful. There was a restaurant on site although we didn't eat there due to other family arrangements. Quiet location. It was very conveniently sited and the staff were extremely friendly and polite. Unexpectedly good dinner at the motel restaurant. So full after entre and mains that we could not even squeeze in dessert. Good selection of beer. Location quiet. Room was clean, with couch, table and two chairs and good bed. Very quiet and located on Bells Line of Road on outskirts of Lithgow Great shower pressure and hot water. Comfy bed, nice staff and clean property. close to everything. Zig Zag Motel This rating is a reflection of how the property compares to the industry standard when it comes to price, facilities and services available. It's based on a self-evaluation by the property. Use this rating to help choose your stay! 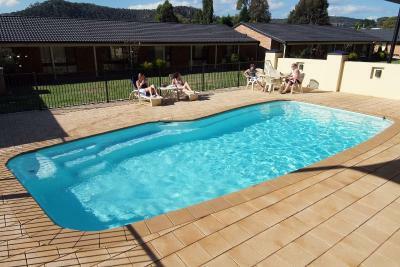 Zig Zag Motel features a fully licensed restaurant, an outdoor solar heated pool and free on-site parking. 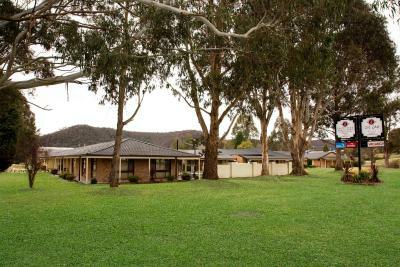 It is within a 10-minute drive of Lithgow Golf Club. All rooms are equipped with air conditioning, tea/coffee making facilities and a flat-screen TV with satellite channels. The private bathroom comes with free toiletries and a hairdryer. The Switchback Restaurant offers a choice of fully cooked breakfast, continental buffet breakfast and room services. A wide range of wines are available. Lithgow Zig Zag Motel is a 30-minute drive from Blue Mountains National Park and a 40-minute drive from the renowned Three Sisters at Echo Point. It is an hour’s drive from Jenolan Caves. 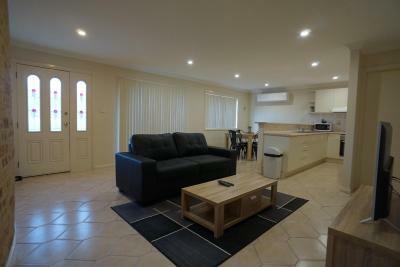 This property is also rated for the best value in Lithgow! Guests are getting more for their money when compared to other properties in this city. When would you like to stay at Zig Zag Motel? This refurbished studio features heating and electric blankets, electric blankets, LCD TVs with satellite channels, a DVD player and free WiFi. 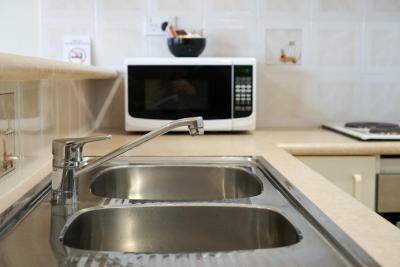 This refurbished studio features heating and air conditioning, electric blankets, LCD TVs with satellite channels, a DVD player, microwave, mini bar and free WiFi. This spacious executive family room includes heating and air-conditioning, electric blankets, a LCD TV with satellite channels and a DVD player. This refurbished room features heating and air conditioning, electric blankets, LCD TV with satellite channels, a DVD player, microwave and free WiFi. This refurbished room features a jetted spa bath, heating and air conditioning, electric blankets, LCD TV with satellite channels, a DVD player, microwave, mini bar and free WiFi. House Rules Zig Zag Motel takes special requests – add in the next step! All children under 2 years are charged AUD 15 per night in a crib. All children under 12 years are charged AUD 20 per night for extra beds. Zig Zag Motel accepts these cards and reserves the right to temporarily hold an amount prior to arrival. Please note there is a surcharge when guests pay with an American Express or Diners Club credit card. Breakfast was OK, but I would recommend just buying it when you get there rather than pre-purchasing as we did. I felt like we didn't get the best deal (in person they have a number of different breakfast options/prices to choose from). Staff were friendly; location was great for our purposes. Good sized room for a small family, albeit everyone is in the same room. Food at restaurant was great. Some staff were extra kind. Explain about the detail of the city with a map at reception. For a restaurant with an impressive menu and such high quality meals, the lack of tablecloths/dining comfort was disappointing. We dined in the restaurant on site for dinner and breakfast. Every meal was of outstanding quality, highly recommend! Nice breakfast. More options to choose from and more skilfully prepared than you will get at a lot of similar establishments. Restaurant service was prompt and the food hot. I was “bumped up” to a lovely spacious room which was very comfortable and clean. Room service was much appreciated and the food was delicious and arrived hot.